Q. We would like to verify compatibility of zinc plated metal parts with Alconox. A. Zinc plated metal parts can be cleaned with Alconox® Powdered Precision Cleaner. 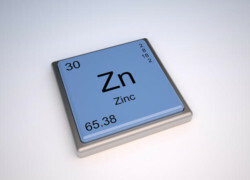 Depending on the metal and whether there is any defect in the zinc plate coating, you can get galvanic reactions between the zinc and the underlying metal because you are making a battery. The Alconox solution is simply the electrolyte that conducts electricity. It is always wise to do some test parts to confirm suitability. We generally recommend avoiding mixed metal baths, but in case where the zinc is plated over another potentially galvanically reactive metal, that obviously cannot be avoided. In such cases, the oxidation can typically be removed by cleaning with an acidic detergent like Citranox® Liquid Acid Cleaner and Detergent. If you have older zinc plated parts, you can consider cleaning with Citranox detergent instead. Especially if your residues are inorganic in nature. We are happy to discuss further. ← Does Tap Water Rinse as Well as Purified Water?